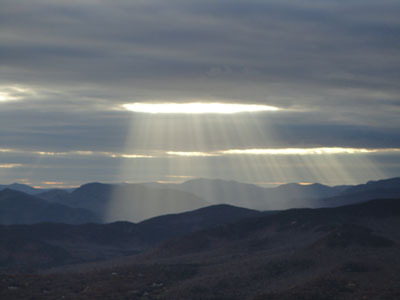 While I had originally intended to hike to North Doublehead for the sunset, some thick clouds were building in earlier than forecasted. Thus, I decided to get the loop done in daylight. 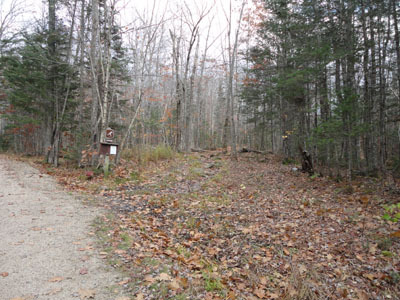 Starting at the trailhead, I jogged and hiked my way up the ski trail, which was muddy in the flat places. 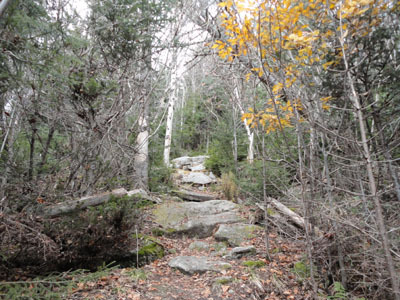 I then generally hiked up the steep Old Path, then worked my way over to South Doublehead. Though dark due to the clouds, the views from the northern ledge were nonetheless decent with some interesting sunrays breaking the southern clouds. 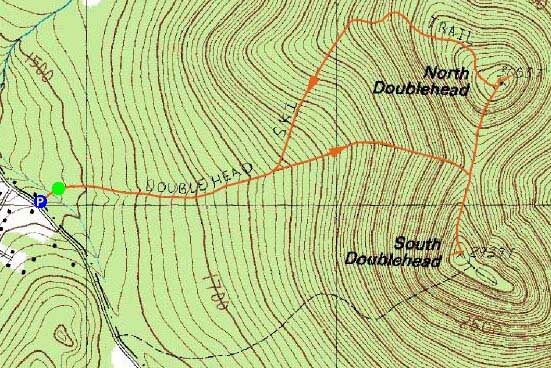 I then jogged my way to the foot of North Doublehead and then hiked up the short, but somewhat steep trail to the summit. 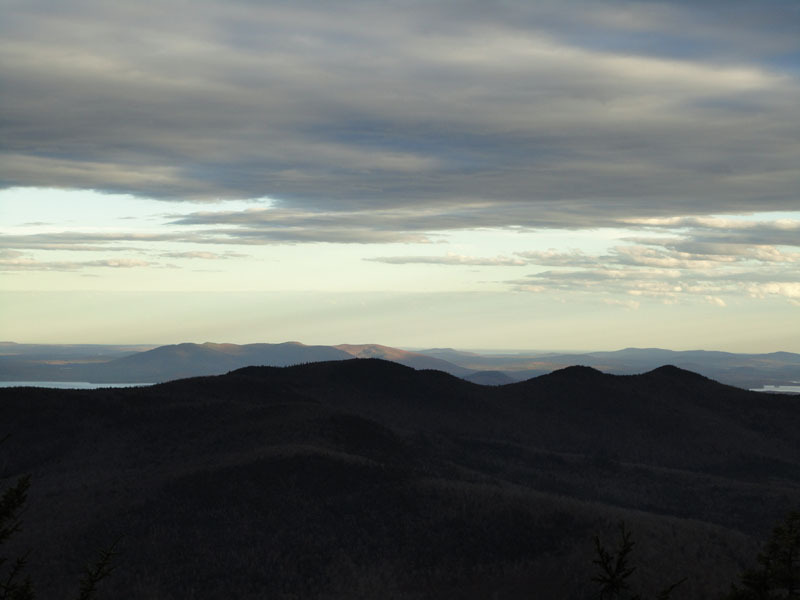 While I had originally intended to go to the southwest ledges (via spur path just before the summit), I decided to just visit the eastern viewpoint, from where I had decent views into Maine. 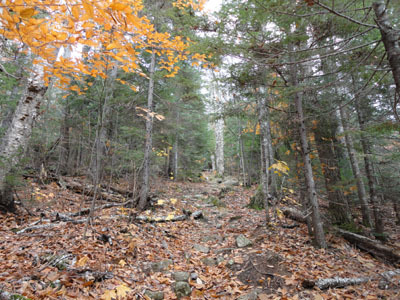 For the descent, I generally walked the upper portion of the ski trail, as the leaves were slippery and concealing of rocks underneath. Directions to trailhead: Take Route 16 North to Jackson, then take 16A past Black Mountain Ski Area. Just after the ski area, take a right onto Dundee Road. 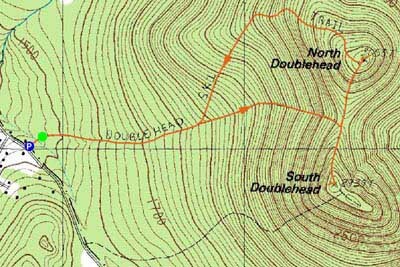 A small parking lot and the trailhead are both located on the left side of the road, on a private drive (the trailhead is a few hundred feet down the private drive on the right).